Every aspect of Surface 3 has been meticulously crafted – from the strong, light frame with a 3-position Kickstand to the 10.8” high-resolution screen. Surface is elegant and durable enough to take everywhere. 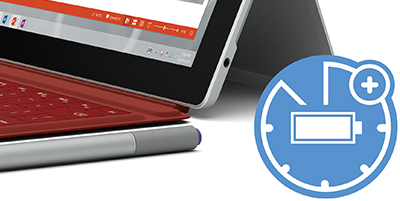 The 622g Surface 3 is just the right size to slip under your arm or in your purse and take anywhere. 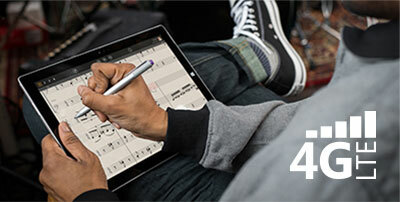 Surface 3 has up to 10 hours of battery life for video playback*so you can work, browse, play, or watch all day long. 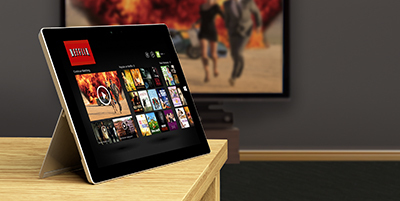 With our signature 3-position Kickstand, Surface 3 lets you binge watch your favorite shows hands-free. Surface 3 has a Quad Core Intel® Atom™ x7 processor, so it’s fast, responsive and won’t slow you down when you’re on the go. We’ve made it easy to connect all of your accessories with a full-size USB 3.0.